A quick guide to the Poynt ecosystem. 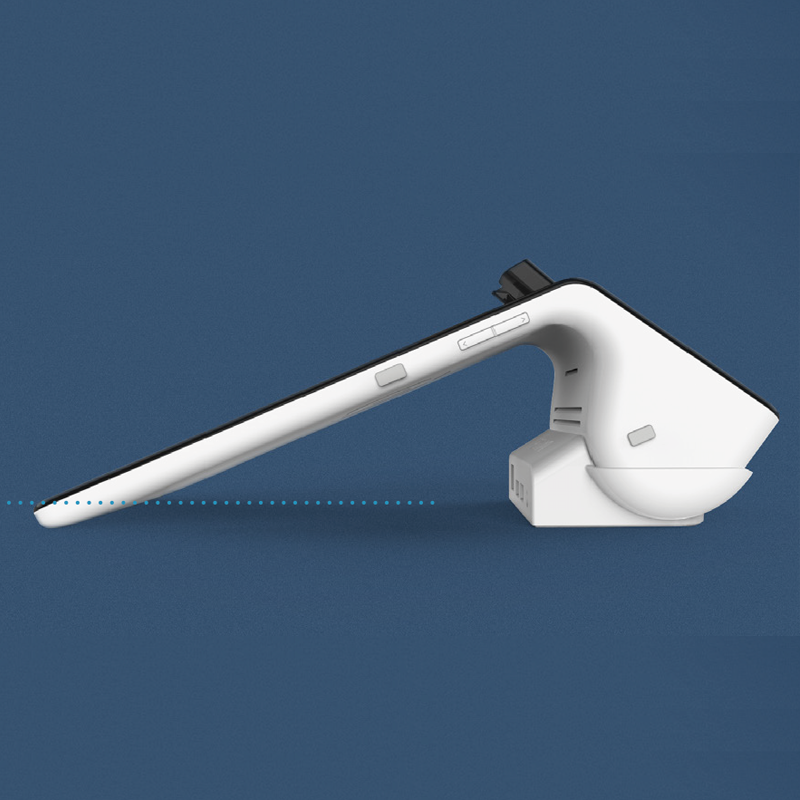 The first payment terminal you'll love, the last one you'll need. Paying with credit cards is faster and easier, with a single slot for both mag stripe and chip cards, plus an NFC reader for Apple Pay, Android Pay, Samsung Pay, and everything else. There’s a big beautiful touch screen for you — plus a dedicated screen for your customers. Customers can select their receipt preferences (print, email, none), choose a tip (without all the awkwardness), and digitally sign or enter pin for their transaction (if applicable). Designed to fit on any counter-top and works as a mobile solution too. 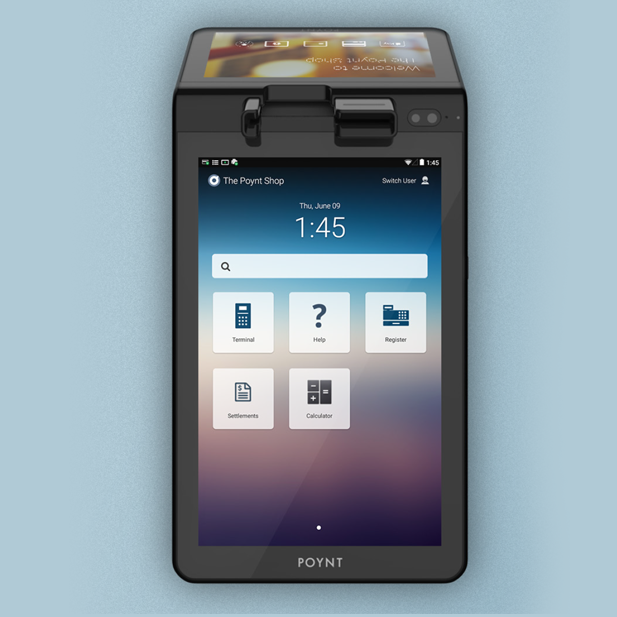 The Poynt Smart Terminal comes with a built in scanner and printer, but can also connect to your existing cash drawers, scanners, registers — whatever via USB on the docking station, so you can do business however you like to. 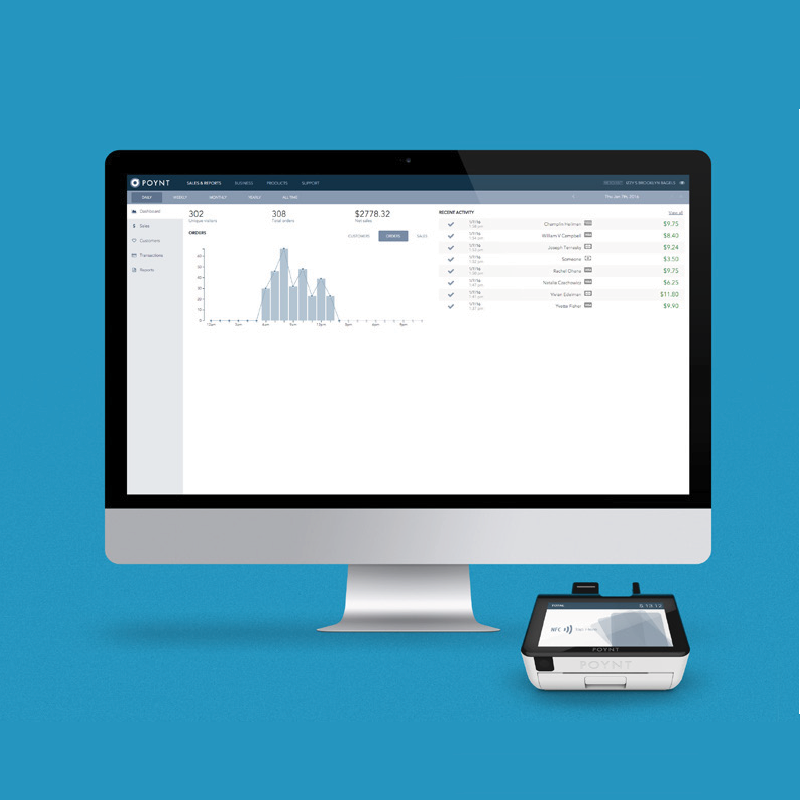 Poynt HQ is a command center for your business where you can monitor your sales, refund transactions, get business insights and alerts, see your best customers, settle with one click — plus a ton more. And with the Poynt HQ App for your phone, you can do all this from anywhere. That’s the beauty of having smart technology. More than just a terminal. 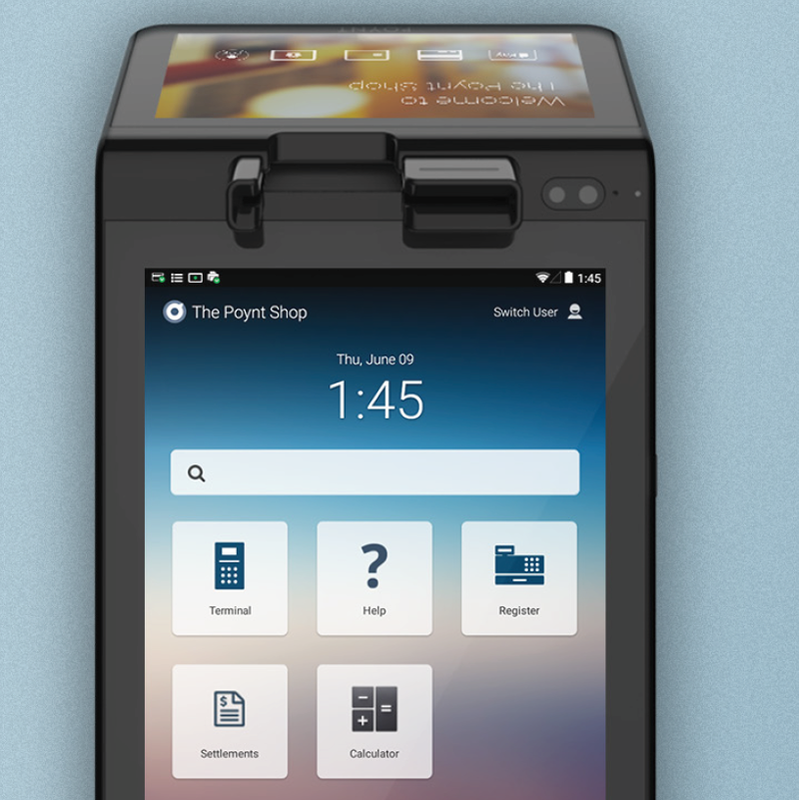 Poynt is also a smart tablet with other cool apps and featuers — like a register app, clock-in clock-out, loyalty cards, QuickBooks sync, and more. 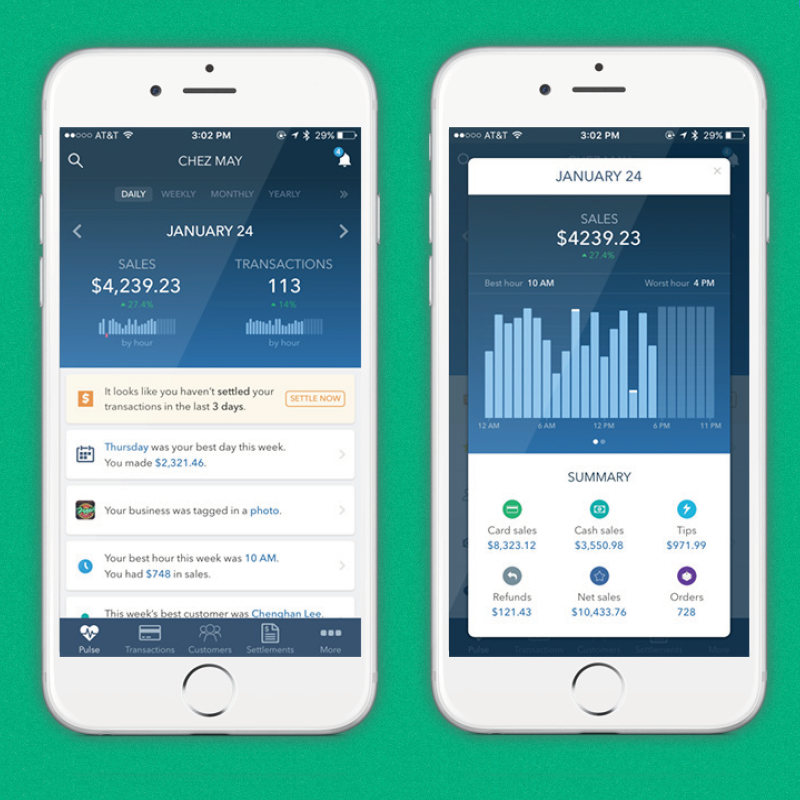 And Poynt keeps getting new apps all the time. Because great technology deserves great support.